A long distance runner is a rare breed covering a range of distances from 5k to 10k, 10 miles, half marathon and right through to the marathon. It’s a wide scope, but the best distance runners, from elites to the dedicated club athletes, can excel at them all. For me, the training doesn’t really vary too much, except of course for the marathon which is a different animal altogether, but more on that later. As an elite athlete I have ran my best half marathon 68:13 off 10k training so I believe that not much has to change apart from a few tweaks. Though I am fortunate that I have a more natural capacity for endurance and can get away with the ‘less is more’ approach – so you should note what worked for me may not work for everyone. Some people need to run high mileage to see results and build leg strength. However, speed is what I work on more often because it doesn’t come as naturally to me. So I place an emphasis on speed sessions in my 10k training and focus on hill reps to build my leg strength instead of excessive high mileage. Typically it’s 80 miles a week max and I definitely think this plays to my strengths. More time on the track is needed to run a fast 10k, just good basic speed training. Whereas, for a half marathon it is a good idea to include extra hill reps for added leg strength. Speed comes from strength though so the two are also intertwined and for me a vital component of both distances. The more strength you can get into the legs the better for track running and vice versa. Half marathon training is more about strength endurance. So sessions that get your legs extra tired in the last few reps will get you used to the last 3 miles of the race when it starts to bite. 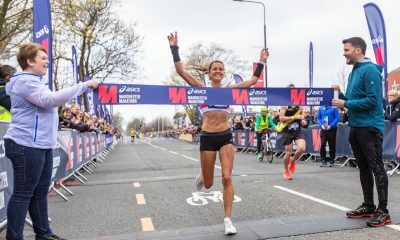 A half marathon session could be a basic 10k or hill session with an added 2-mile tempo before and after to get the legs used to running with lactic acid in them. There’s method to the madness and it makes sense and honestly, your legs will thank you for it in the long run. 12-15 x 400m (1-minute recovery) 3 mins recovery. Followed by 5x200m (to get speed sharpness and get those fast twitch fibres working). I run the reps as close to maximum effort as I can and typically aim for 68-69 seconds per 400m and 31-32 seconds on the 200m. This is not super fast by some standards but the best endurance runners are the ones who can recover the best from their efforts and for me, a shorter recovery makes no odds to how fast I run due to my ability to stop lactic acid building up! My advice is to play to your strengths though to get the most out of your own ability. 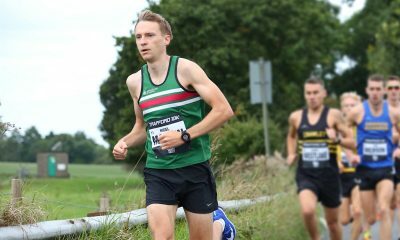 Track session once a week, 5-mile tempo run on a Thursday followed by a hill session at the weekend. The secret is to keep it simple and remember that consistency is key. 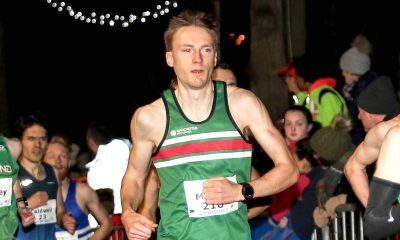 Another rule is aim to run each rep at 10-15 seconds a mile quicker than your current race pace so a key session of 6 x 1 mile for a 5:15 per mile pace runner should be done at 5-minute miling ideally in order to make the necessary improvements. This will give you an accurate indication of what you can get down to in a race if you have patience in your programme. Remember nothing happens overnight and there are no shortcuts to success. 600m reps are also good to test speed endurance as an extended effort from the 400s. Then you can build it up to 800s, 1k’s and so on! The fitter you get the better you will be able to handle it. If you want to keep improving it shouldn’t get easier as you just stronger so upping the bar is essential. Other sample sessions for 10k are 8 x 600m, 6 x 800m and 6-8 x 1k. Elite athletes can add more reps, but these type of sessions are the bread and butter of a good 10k club runner’s training. Nothing cute or fancy just plain basic reps with a minute or 90 secs recovery. Pyramid sessions are also great and my personal favourite is 5 x 3 mins, 2 mins and 1 mins off 90 secs recovery. This is another signature session for 10k running (grass or track). Aim to get quicker on each distance by 15 seconds a mile if possible to get the best from the session. This will really get the speed into your legs. I swear by this session as a good indicator before a 10k race. Training for the 10k distance isn’t rocket science and mostly common sense. After sessions in the evening, run recovery runs the next day at 1 minute to 90 secs slower than race pace. These runs are meant to just bump up the mileage and get the legs used to running when fatigued (otherwise no more use than an ornament). This extra mileage won’t make you any faster but it will help you recover better for the next day. 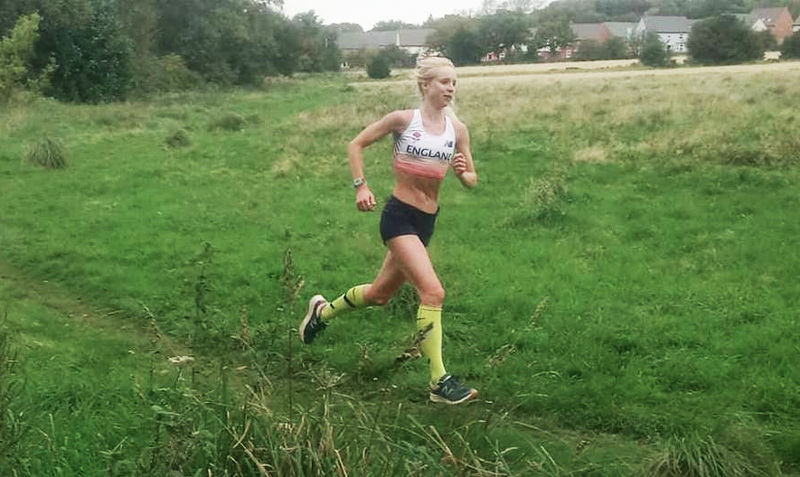 Recovery runs are especially important for marathon training, but not mandatory for 10k training, as long as you are including the four basic runs of a speed session, hill session, tempo and a long run with some easy runs. The long run should be a minimum of an hour for 10k runners depending on your level of performance. I do at least 13 miles as a happy medium and ironically it is the magic number to strike a balance for 10k and half marathon training but it’s not essential and you can get away with 10 miles. From my own personal experience, I ran my fastest half marathon off 10k training. The only thing I did differently was a big volume tempo session two weeks out from the big day. This was 3 miles at 5:40 per mile pace, 3 miles at 5:30, 3 miles at 5:15 and 3 miles at 5:00 pace. You can tailor this to suit your own pace depending on what time you are aiming for. My advice is to run a 10k three weeks out from a half marathon, and it can form part of your training programme. 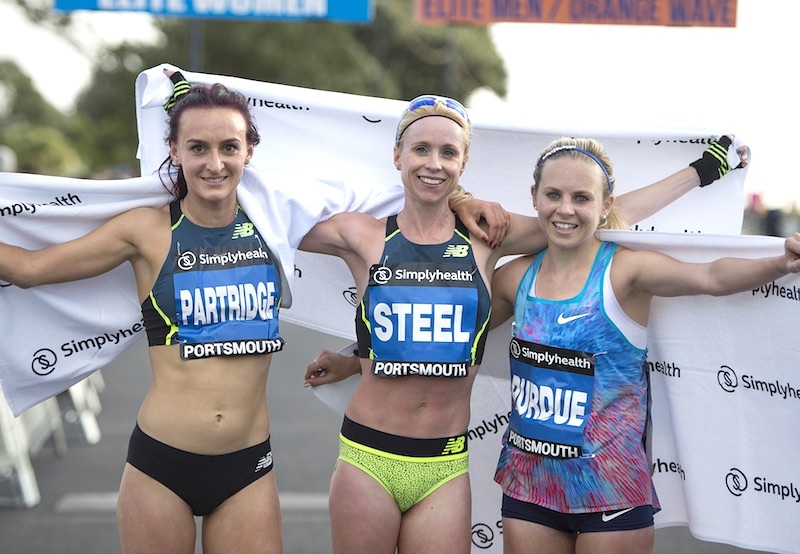 10-milers are a happy medium and I am a big fan of the iconic Great South Run (cough…that I won this year). Although not a standard race distance you can use it to your advantage to see where you are with your training before stepping up to 13.1 miles. The half marathon can be a difficult distance to master and why I favour using a 10-mile race as a stepping stone. This allows me to bring the speed through 10k without the consequences of hitting the last 3 miles of a half marathon and suffering from a misjudgement of pace. 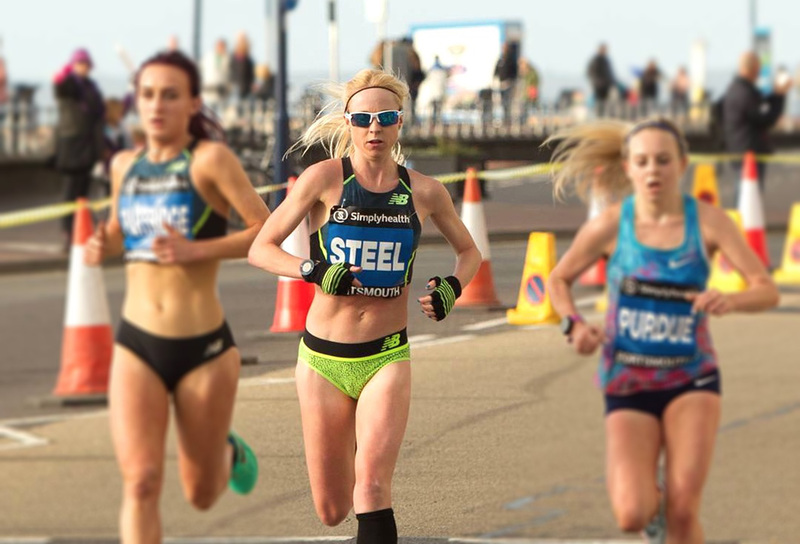 Perfect pacing is required for the half marathon which is why it requires significant training, discipline and strategy to complete but without the added quirks of running a marathon. I haven’t ran a marathon, but I have actually trained for the 26.2 miles twice without actually getting to the start line. A lot more organisation is required for the training, nutrition has to be considered, fueling has to be tested en route and it requires a much more detailed approach. Races must be used as training runs and tapering down is not really an option. Most top marathon runners run more than 100 miles a week although in my opinion quality is always better than quantity. You have to do the work or else you will get found out after 20 miles. In my humble experience, my training changed quite dramatically and tempo runs were extended to 10 miles plus. It really was a grind to the point that I was running half asleep. It is a totally different mentality and the training is so much more of a sacrifice. Dedication has to be 100%. On building up the mileage you have to do it very gradually from 15 one week, 16 the next, 18, 20 until eventually some even run up to 24 but most never run the full distance until the actual day of the race. It’s unbelievable to have that kind of faith that your legs will cover the distance on race day but most do and trust in the training programme. I take my hat off to anyone that runs a marathon; club runner or elite – but after the sacrifices, the rewards are worth it. 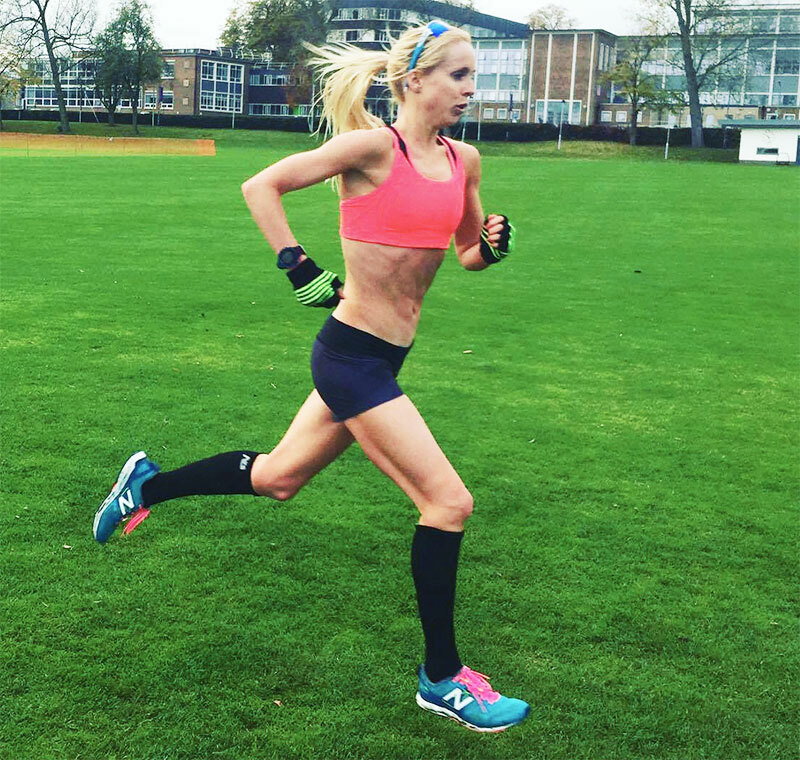 Check out Gemma Steel’s other articles: Cross country is a true test of strength grit and determination, and The holy trinity: pilates, yoga and body balance.